Book Review - The Girl With All The Gifts - Honk if you love justice! 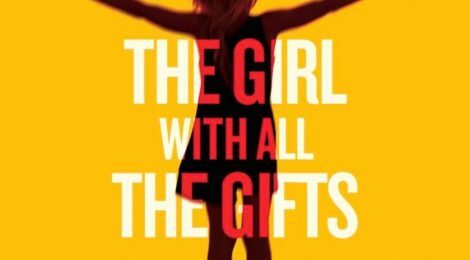 I am not normally a zombie guy, but I had heard great things about comic writer Mike Carey’s (styled M. R. Carey here) novel The Girl with All the Gifts and when it went on sale, I gave it a shot. I’m glad I did, as it’s an enjoyable spin on the nature of zombies and the “zombie apocalypse”. Carey’s book starts out with all the usual zombie trappings, you know, the last few human survivors working to find a cure, the zombie infection coming from a real-world source (a cordyceps fungus, like in The Last of Us), and the somewhat annoying trope that people don’t call zombies zombies. The twist comes from the children found among the walking dead – seemingly still fully intelligent, they just have an uncontrollable hunger for flesh when they smell it. The group of survivors we follow (most notably Doctors Caldwell and Justineau, and Sergeant Parks) are studying the children, hoping that they are a hint to a final cure for the infection. The conflict comes from the differing views of just how far they should go in that study – Caldwell is rather freewheeling with a scalpel, carving up the intelligent zombie children, while Justineau empathizes a bit too much with them. Things are turned upside down when the base is assaulted and overrun and they are on the run in a busted truck – with Melanie, one of the intelligent “hungries” along with them. The rest of the story becomes a survival-on-the-road movie where Parks, Caldwell and Justineau learn more about the zombie infection while travelling with Melanie, but she’s learning at leaps and bounds too. The Girl with All the Gifts moves at a solid pace for the most part, and drives to a solid conclusion I didn’t see coming. It’s a bit abrupt considering the time spent on the rest of the story, but the only other negative was a rather eye-rolling romance aspect between Parks and Justineau that seemed unnecessary. In the end though, it’s a book about zombies that had something new to offer, and considering how prevalent zombies are in our media at this time, that shouldn’t be ignored. Check out the preview below if any of this interests you.